It wasn't dealt with much in the movies, but in the Iron Man comic books Tony Stark is constantly battling alcoholism. And that's what makes these light-up glowing coasters ironic. On the big screen, he used the technology he developed to fight crime and make the world a better place. 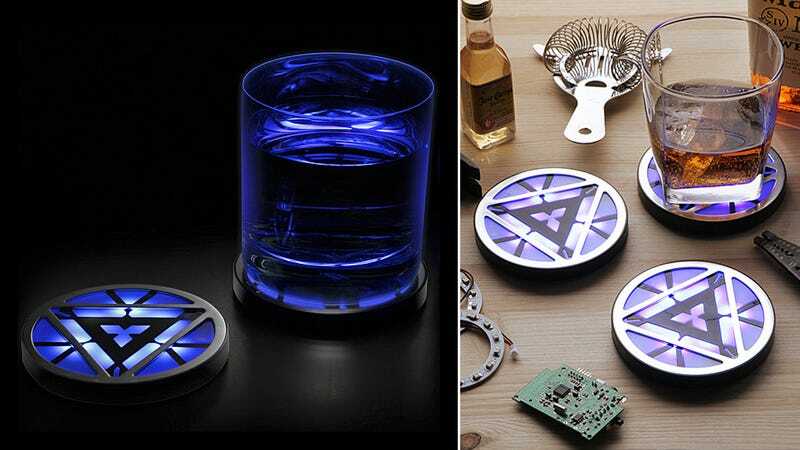 But in the comics, he would have probably been more inclined to turn the arc reactor into drink coasters just like these.